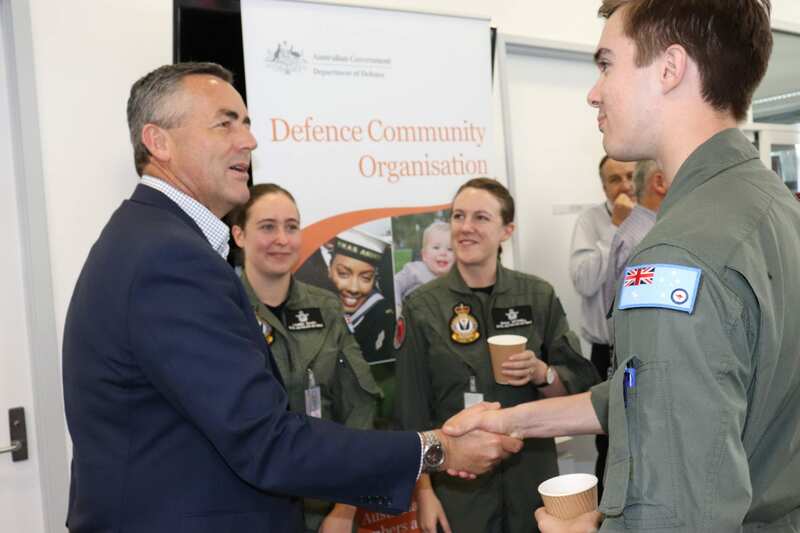 Deputy Prime Minister Michael McCormack accompanied local MP Darren Chester to RAAF Base East Sale this week to help welcome newly arrived ADF members and their families to Gippsland. The Welcome to Sale event, organised by the Defence Community Organisation and local commanders, is an opportunity for the new arrivals to get to know the area, meet other military families and learn about the support services available to them. Mr Chester, who is also the Minister for Defence Personnel, took the opportunity to acknowledge the contribution and sacrifice of service personnel. “I also want to acknowledge the support of their partners and their families who accompany them as they move to a new town and have to start afresh in a new place,” Mr Chester said. Around 350 RAAF families live in Gippsland. Forty new families, including plenty of small children and babies, were at the welcome event.